From Lucap, Alaminos I went straight to Victory Liner Bus terminal. I had to take the Dagupan bound bus and catch another bus from there going to La Union. There was no airconditioned bus so I took the ordinary one. Dagupan to Agoo - P47, travel time is around 1 hour. I missed the aircon bus so again I took the ordinary one. According the lady I asked, there are actually buses that goes directly to La Union but I just couldnt find it so I took the Victory bus bound for Baguio and catch another bus to San Fernando, La Union, my next pit stop. Agoo to San Fernando La Union - P50, travel time is around 1 hour and 30 minutes. From Agoo there are buses going to Vigan, Laoag and Abra passing throu San Fernando. I checked in at Hotel Mikka and paid P750 for a small yet clean room without breakfast as I plan to wake up late. If you want with breakfast the rate will be P825. Places of interest: copy from san fernando website. Since I woke up very late in the morning, I did not have the chance to visit those places. Instead, I head straight to San Juan, La Union to try surfing. How to get there? From San Fernando, I took a jeep to San Juan and paid P14. Travel time is around 10-15 minutes and the jeep terminal is near the public market of San Fernando. Where to Stay? There are actually lots of resorts in Urbiztondo, San Juan. Depending on your budget you can find a suitable place to stay. I stayed at Surfer's Inn and paid P350 for 1 night.The room is good for 4 people but I was alone. The room is just ok for the rent I paid. What to do: You can rent a surf board for P150-200 per hour and you can also hire someone who can teach you how to surf for the same rate. Where to Eat? There are a lot of restaurants in the area. I had dinner at Sebay Resto and paid P170 for a bottle of beer and bangus ala pobre meal. 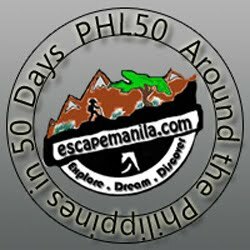 How to get there from Manila and Baguio? Location: Corner Gelinos and Dapitan Streets, Sampaloc, Manila. Location: Corner 1209 Blumentritt and Dapitan Streets, Sampaloc, Manila. Travel time by bus from Baguio City to San Fernando City, La Union takes 1.5 hours. San Juan Surf Resort in Urbiztondo offers dormitories, budget and standard rooms, bungalows and condo units. They have a bar and restaurant, a surf shop, and offers surfboard sales and rentals. Other activities are scuba diving, snorkeling and kayaking. The establishment is near the beach. Sunset German Beach Resort in Montemar Village, Ili Norte is a small, well-tended resort. They have rugged concrete cottages with cozy rooms. Their suites have a living room, bedroom with TV and a balcony. They also have a restaurant serving Filipino and International dishes as well as home made bread and cold cuts. Guests can also hire surfboards by the hour. Puerto de San Juan Resort Hotel in Ili Sur is a well-maintained resort. They offer comfortably furnished and air-conditioned cottages and rooms. A church, restaurant and swimming pool is available within the premises. NorMi2's Beachfront Resort is located in Brgy. Taboc. Accommodations offered are cozy guesthouses and tropical cottages. A French-German restaurant, a tropical bistro-bar, and a cafeteria is available. There is also a homely and friendly swimming pool for the whole family.